Who doesn’t enjoy Halloween decorations! They’re a treat for all ages and are becoming increasingly widespread. Indoors and out-of-doors these decorations are so much more elaborate than the orange, carved, candle-lit pumpkins–and perhaps a black cat or witch– sitting on the front porches of our childhood. However…..
Are aging parents and older people getting out to see them? And–How can we make this happen? 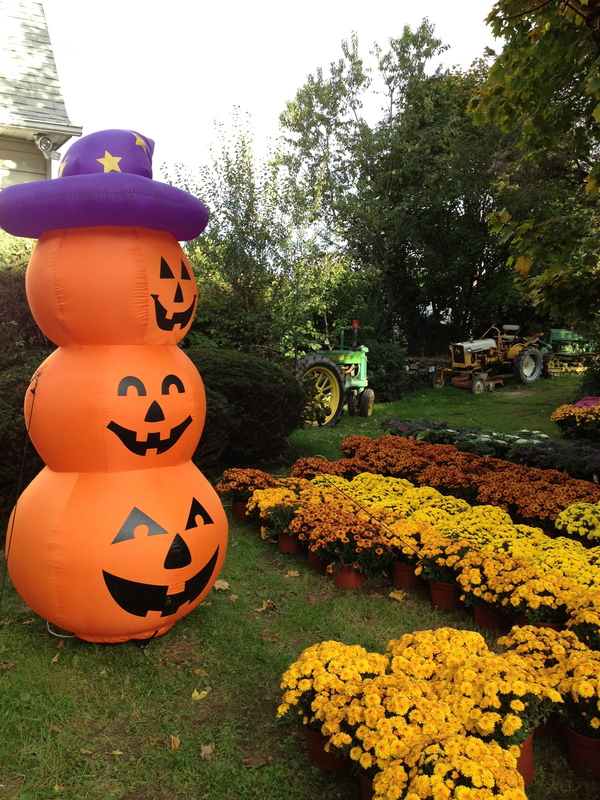 Country Farm Stand in Oct. Can you see the tractor in back? 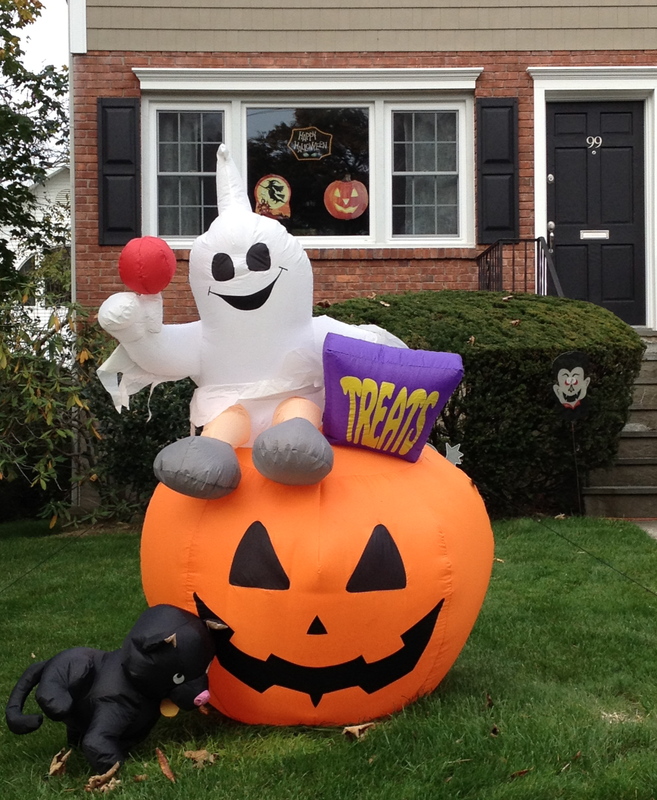 Halloween-themed inflatables–plus ghosts and witches–are common sights. 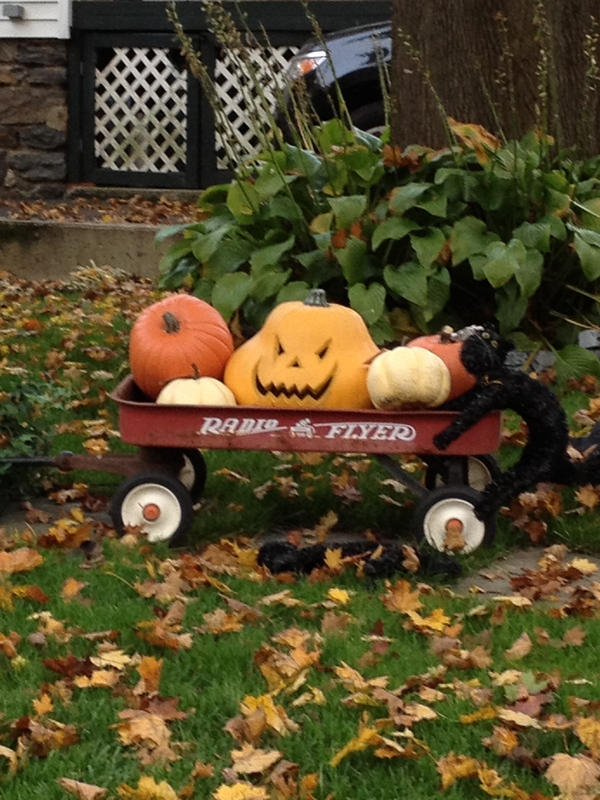 Every year it seems more suburban and urban homes and commercial establishments dress up for Halloween. 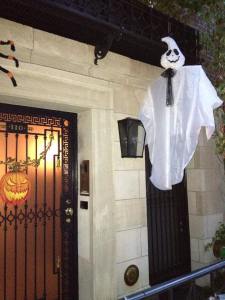 Even New York City townhouses get fancied-up for the occasion–a friendly ghost, a sedate townhouse’s front stoop. City sidewalks may also yield surprises. 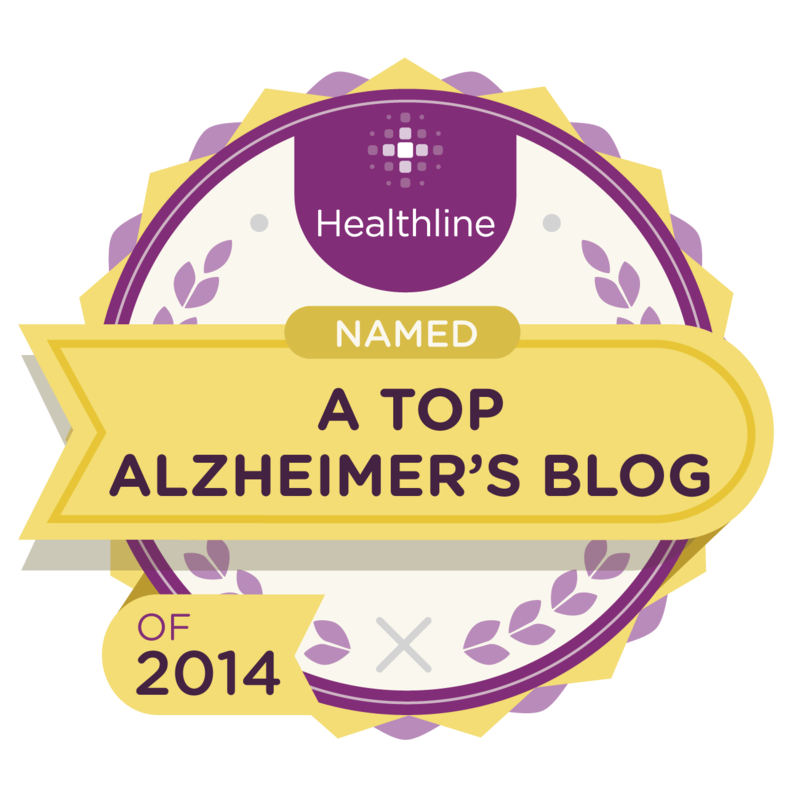 Isn’t this a perfect time to make plans to take older people out for a great change of scenery? And what about an evening drive when lighted Halloween displays create a theatrical atmosphere? Whether it’s day or night, how many old and/or somewhat infirmed people rarely go out, spending most of their time indoors–at home or in assisted living or more structured care facilities? Still others don’t drive–or don’t drive unfamiliar roads or at night. We arranged an outing last year. 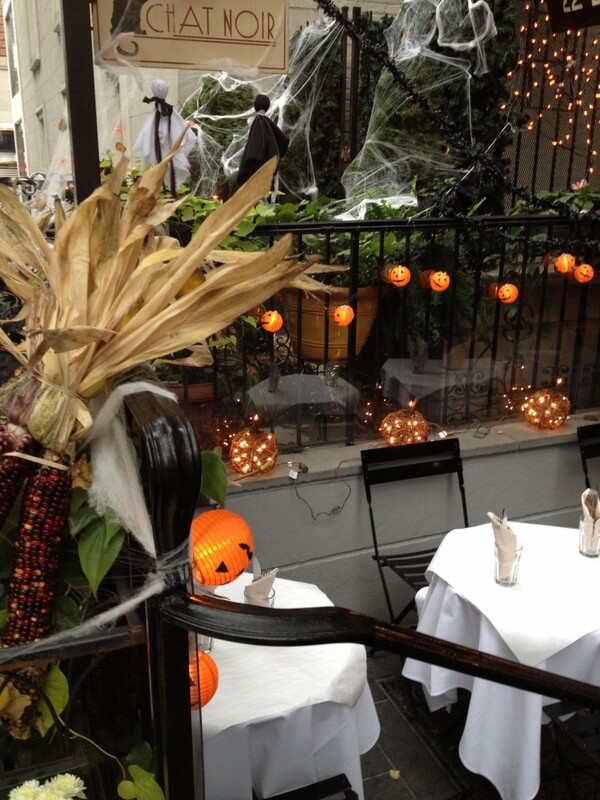 It turned out to be a dreary day–yet we had smiles on our faces as each Halloween display came into view. There was anticipation as we turned a corner to a new block. We never knew what to expect, although I did a “dry run” ahead of time several years ago to scope out decorated neighborhoods. They haven’t disappointed. While a drive to the country or suburbs is a change of pace for city dwellers, cities yield their own attractions if we know where to find them. And let’s not forget decorations in store windows and malls. Any outing that gets older people out, seeing something new, is a win-win: stimulation, companionship, something to think about long after the event itself. Indeed we know major studies confirm that connections with others and stimulation are important factors in aging well. This entry was posted in Aging parents, Halloween, Holidays, Lifting Elders' Spirits, Mobility Challenged, short outings and tagged activities for people with limited mobility, activity ideas for older adults, evening Halloween drive with elderly, fun activities for seniors/elderly, Halloween activities for older adults, Halloween activities for seniors, Halloween fun for aging/older adults, Halloween fun for disabled, Halloween fun for elderly. Bookmark the permalink. Enjoying Halloween decorations is something we have done for two years with our friend who has Alzheimer’s dementia. 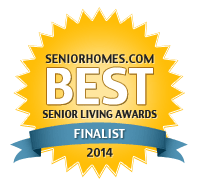 I am a part of a group of ladies called Lady-Links who visits our friend in her home on a regular basis and engages her in activities that she can enjoy and successfully complete. 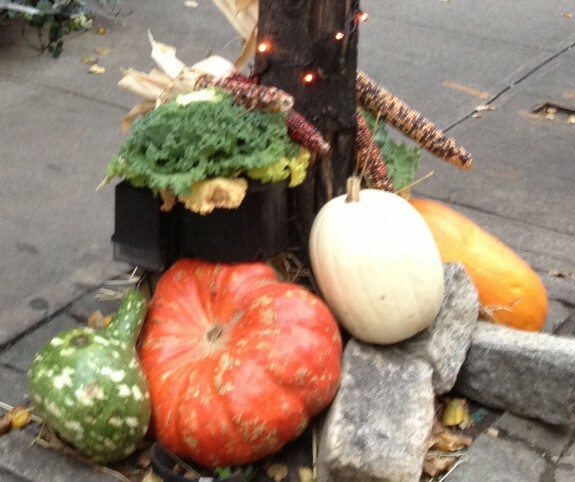 We actually make decorations as well as take a short walk in our community to see what our neighbors have on display. We decorated pumpkins but no cutting was involved! We used markers and stickers and came up with some great creations. I hope you will visit our blog at http://www.Lady-Links.com to see our model for friendship visits and see how we enrich the life of our friend with meaningful activities, compassion and love. 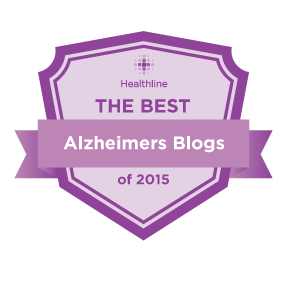 Susan, thanks for the wonderful encouraging words about the Lady-Links blog and also for the link to your post about the weekly bridge game your friend arranges for her mom. 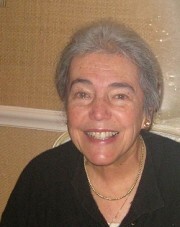 So much of the social activities of the elderly fall to the family, yet.friends can be a significant part of that process, thus leaving the caregiving to family and the professional health workers, while providing meaningful interaction and activities through friendship visits that focus on enjoyment. Your friend has the right idea and I think others would benefit from involving friends too. As I’ve said, your Ladies at Lady-Links are a wonderful model of caring and lifting spirits. Hope more women (and men) who enjoy camaraderie and have some extra time, will think about starting this kind of group. Happy Halloween!